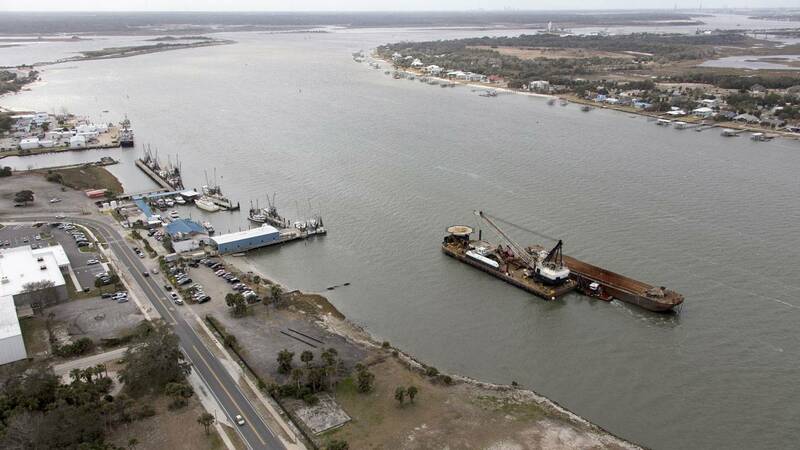 JACKSONVILLE, Fla - The first phase of a controversial $484 million project to deepen the St. Johns River shipping channel to allow massive cargo ships to reach Jacksonville's port began Saturday, the Jacksonville Port Authority announced Saturday. "After a decade of study, independent review, public input and full regulatory approval, contractors for the U.S. Army Corps of Engineers today began the Jacksonville Harbor Deepening project to take the federal shipping channel to a depth of 47 feet," JaxPort spokeswoman Nancy Rubin wrote in a news release. 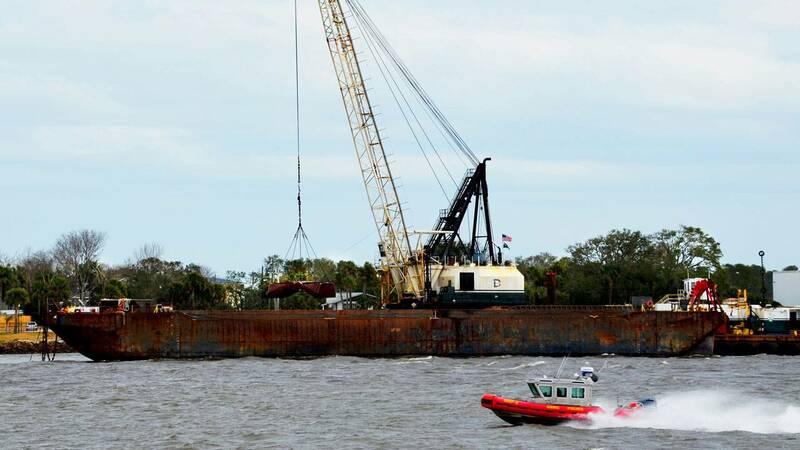 Last month, the St. Johns Riverkeeper was denied an emergency injunction to stop the project until modifications to the dredging project were studied. The organization still has a pending federal lawsuit to stop the project. The Riverkeeper wanted the U.S. Army Corps of Engineers to redo its 2014 impact report because JaxPort last year changed the number of miles of dredging from 13 to 11, which would require relocating some of the port facilities at the Dames Point Terminal. The Riverkeeper has also amended its April 2017 complaint to argue that the Corps should be made to do an additional risk analysis after the storm-surge flooding along the river during Hurricane Irma. The Dutra Group was awarded the contract to deepen the project’s first 3-mile segment and additional 7 feet. Once the whole project is complete, port officials said the largest container cargo ships in the world will be able to call on JaxPort more fully loaded. Construction of the first of four phases of the project is expected to take about two years. JaxPort said the federal government committed $21.5 million in funding, Florida approved $15.5 million in its 2017-18 budget and Gov. Rick Scott, who is leaving office next January, has committed that the state would spend over $200 million. JaxPort is asking Jacksonville City Council to contribute between $47 and $150 million to the project, but no city money has been allocated. In an email to WJCT-89.9FM News, the organization wrote it would continue raising the alarm about the potential for additional flooding.